Both sexes fully winged. Body legs and antennae mainly dark brown; all tarsi yellow, mid and hind tibiae often yellow at base and apex; antennal segment III yellow with apex brown, IV–VI yellow in basal half or more; major setae and fore wing pale. Head much longer than wide, projecting in front of eyes, cheeks sinuate with pair of prominent setae behind large eyes; ocellar setae finely pointed, longer than eyes, postocular and mid-vertex setae shorter; maxillary stylets broad, retracted about half-way into head, wide apart. Antennae 8-segmented; segment III with 2 long slender sensoria, IV with 4 similar sensoria; segment VIII slender and narrowed to base. Pronotum with 5 pairs of bluntly pointed major setae; epimeral sutures usually incomplete; basantra weakly sclerotized, ferna transverse, mesopresternum broadly boat-shaped. Fore tarsi with no tooth. Metanotum reticulate, with one pair of long setae arising far apart. Fore wing parallel sided, broad, with at least 30 duplicated cilia. 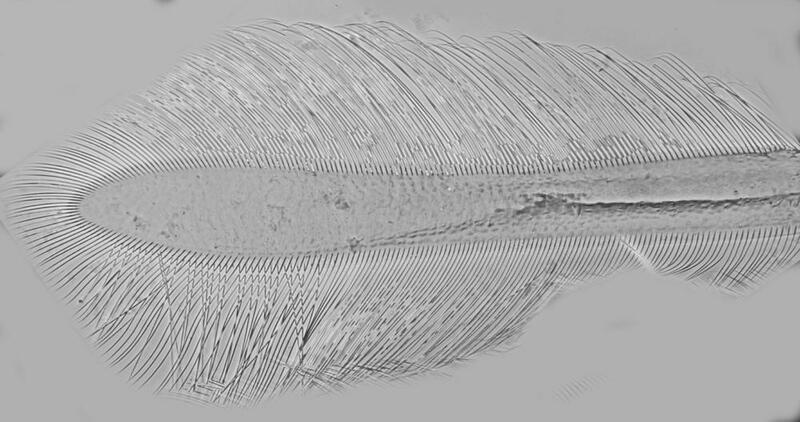 Pelta with prominent lateral wings; tergites each with two pairs of sigmoid wing-retaining setae; tergite IX setae pointed, shorter than tube; tube longer than head, with several prominent lateral setae. Male tergite VI with pair of elongate lateral tubercles bearing a terminal seta, tergites VII and VIII each with smaller lateral tubercles; tergite IX setae S2 and S3 shorter than setae S1. 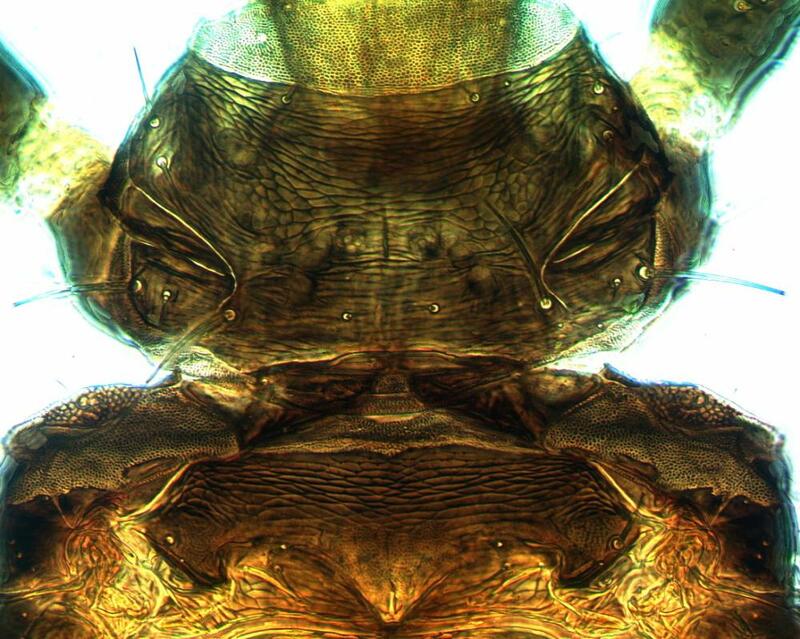 This species was transferred from Megalothrips to Bactrothrips by Mound & Palmer (1983), because the maxillary stylets are not deeply retracted into the head. Almost 50 species are currently listed in the genus Bactrothrips, mostly from Africa and Asia. However, there are several species from the temperate areas of Japan, and six from Australia (Mound & Tree, 2011), together with one from the Mediterranean and B. hesperus from California. 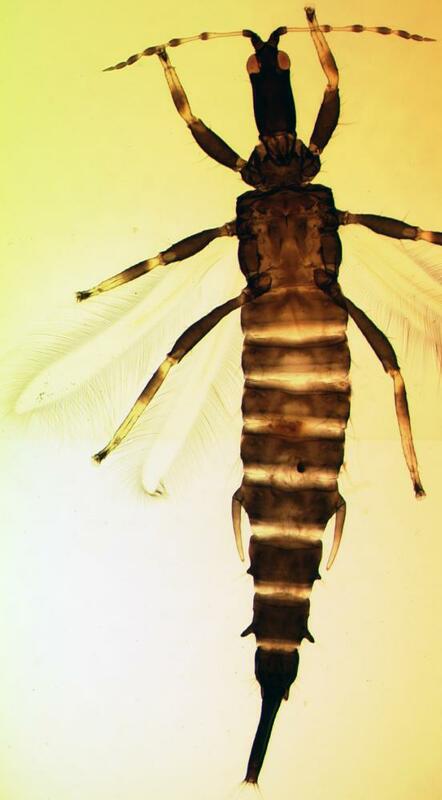 The genus is not satisfactorily distinguished from Megathrips that includes five species from Europe with a sixth from California. 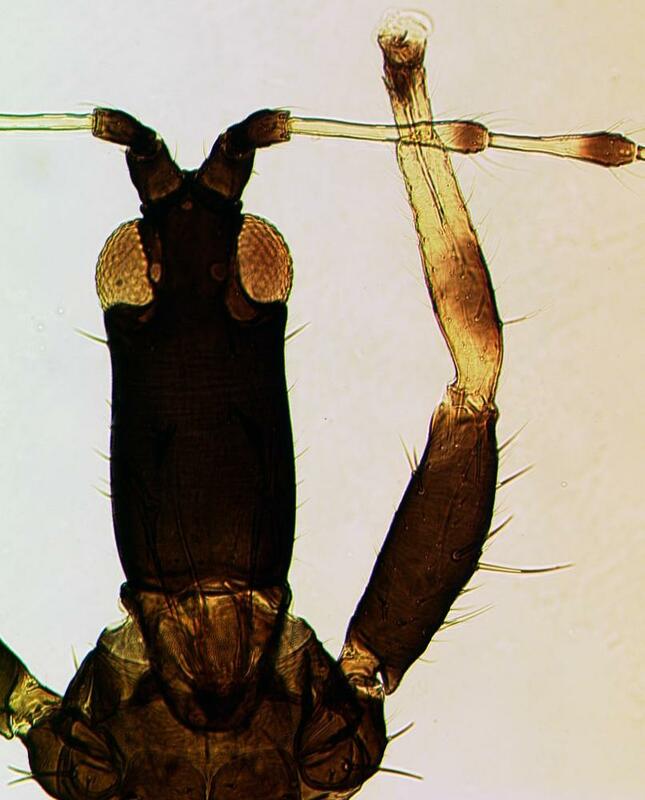 In contrast, the seven species worldwide that are placed in the genus Megalothrips have the maxillary stylets deeply retracted into the head and close together medially. 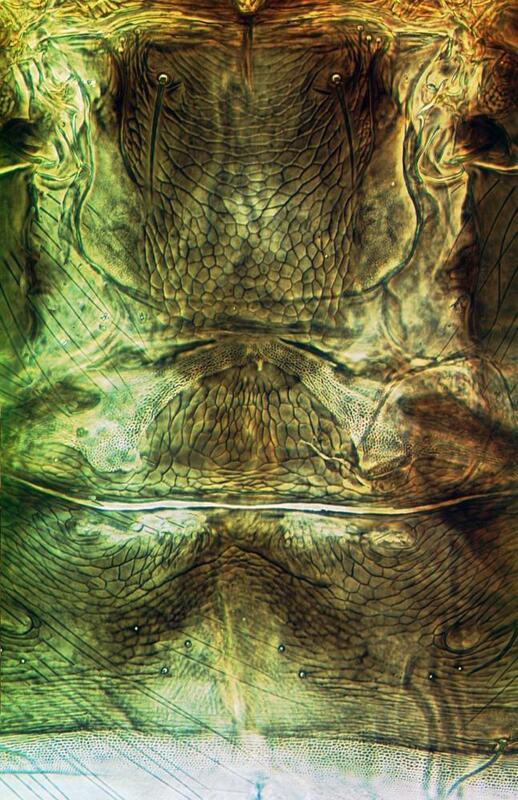 Despite this, all the species included in these three genera are unusual amongst Phlaeothripidae in having the abdominal tube with prominent lateral setae, and the males commonly have one or more abdominal segments bearing a pair of prominent tubercles laterally (Mound & Palmer, 1983).